Discover our extensive collection of beautiful and high quality lab grown diamonds. 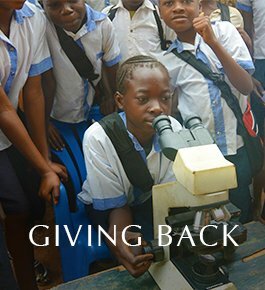 Lab created diamonds are a responsible choice given that no mining is required. Man made diamonds have the same physical, chemical, and optical properties as mined diamonds. Lab created diamonds offer excellent value, and are slightly more affordable than natural diamonds of comparable size and quality. What Are Man Made Diamonds? Man made diamonds, also known as engineered or cultured diamonds, are grown in highly controlled laboratory environments using advanced technological processes that duplicate the conditions under which diamonds naturally develop when they form in the mantle, beneath the Earth’s crust. These man made diamonds consist of actual carbon atoms arranged in the characteristic diamond crystal structure. Since they are made of the same material as natural diamonds, they exhibit the same optical and chemical properties. Our lab grown diamonds are now readily available in a variety of colorless ranges. Cultured diamonds are also available in fancy colors that are considered very rare in nature, including popular hues of vivid fancy yellow. Fancy colored lab diamonds sell at comparatively reasonable prices compared to their natural colored diamond counterparts. Shop our extensive collection of lab created diamonds. Our lab created diamonds are grown from the tiny carbon seeds of pre-existing diamonds. Advanced technology – either extreme pressure and heat or a special deposition process known as CVD – mimics the natural method of diamond formation. Some lab diamonds grown through deposition may also undergo pressure and heat treatment after they are grown. Lab grown fancy colored diamonds are formed when small amounts of specific trace elements are present during the growth phase of the diamond, just like in nature. In both white and fancy colored lab diamonds, the exact composition of trace elements may differ from their natural diamond counterparts. Lab diamonds can only be distinguished from natural diamonds using specialized equipment that can detect the minor differences in trace elements and crystal growth. It is important to note the major distinction between lab diamonds and diamond simulants. Diamond simulants, such as cubic zirconia and moissanite, look similar to diamonds but are not true carbon crystals. Simulants do not have the same chemical and physical properties as natural diamonds and therefore sell at much lower prices than man made diamonds. 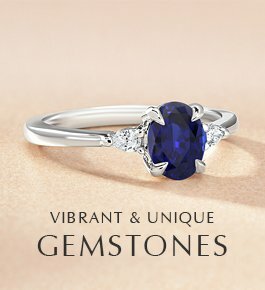 Simulants can be distinguished from natural or lab grown diamonds using only the naked eye. Natural and lab grown diamonds have thermal conductivity properties that differentiate them from cubic zirconia with a handheld diamond tester. 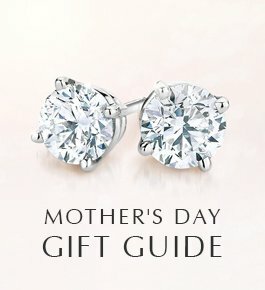 Some lab diamonds, along with some natural colored diamonds, may be mistakenly identified as moissanites when using certain diamond testers due to similarity in their electrical conductivity. 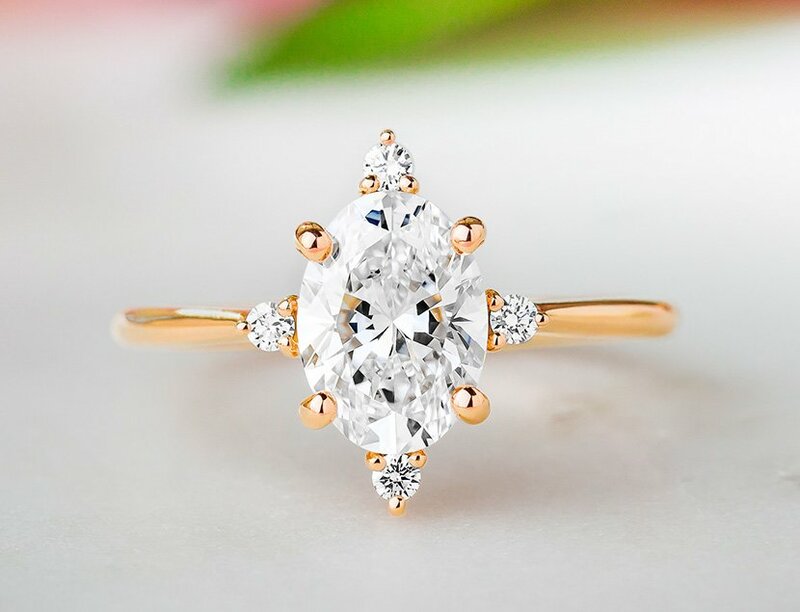 However, gemologists can typically distinguish between diamond and moissanite due to their differing refractive properties, with moissanites being double refractive and diamonds being single refractive. 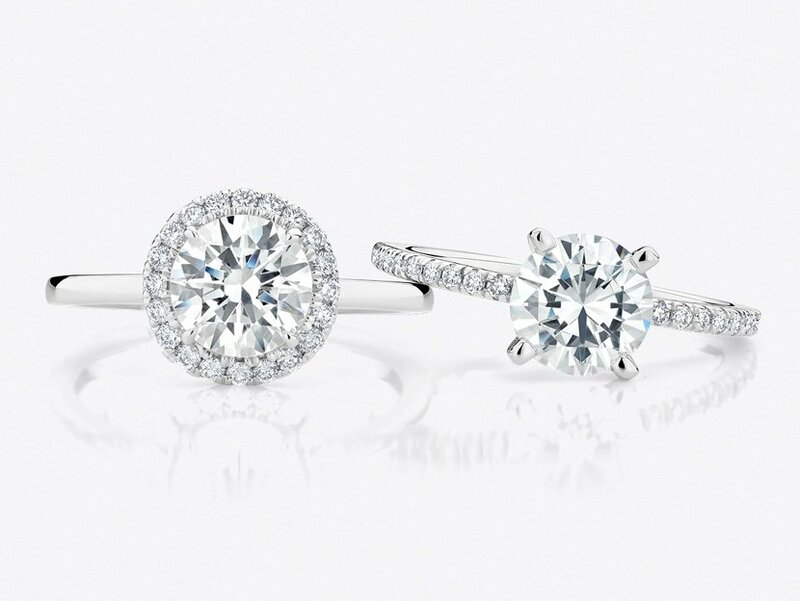 Learn more about moissanite vs. diamond. 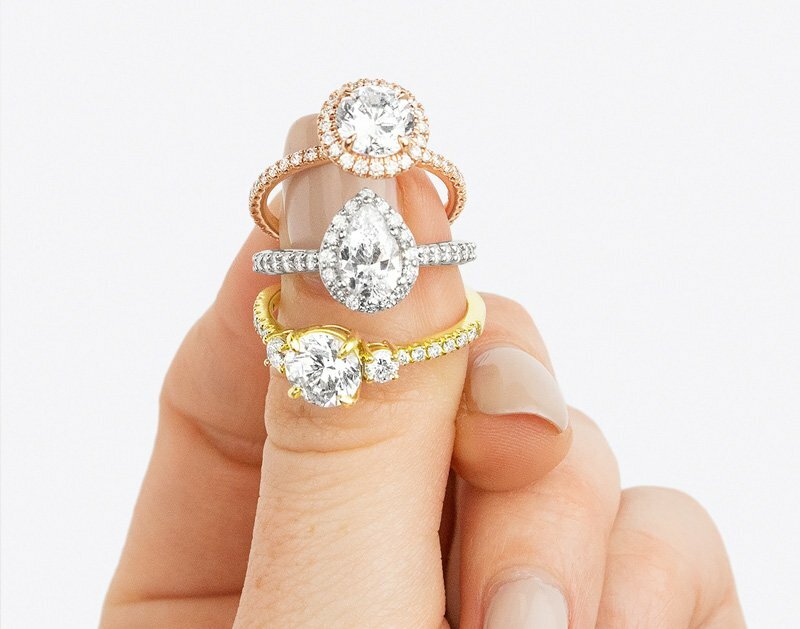 Discover the most popular settings to pair with lab diamonds. Our lab grown diamonds display the same physical, chemical, and optical characteristics as natural diamonds, and exhibit the same fire, scintillation, and sparkle. Using a jewelry loupe, man made diamonds are nearly impossible to differentiate from natural diamonds. Lab created diamonds may exhibit different trace elements than natural diamonds that do not affect the appearance of the diamond. Lab grown diamonds can be distinguished from natural diamonds only with tests using specialized equipment. 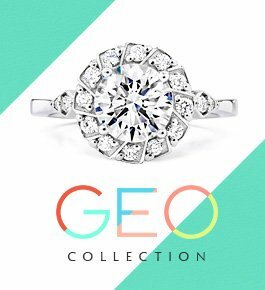 Lab created diamonds available for purchase should always come with a gem certification identifying them as laboratory grown. Select your perfect lab grown created diamond by searching our online inventory. 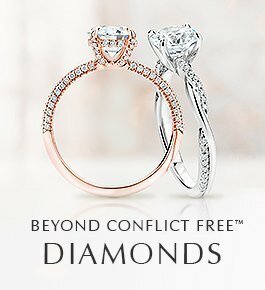 Or search our selection of Beyond Conflict Free™ natural diamonds. 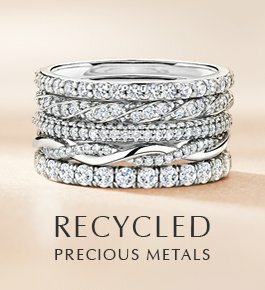 Once selected, lab created diamonds can be expertly set in the recycled gold or platinum setting of your choice.